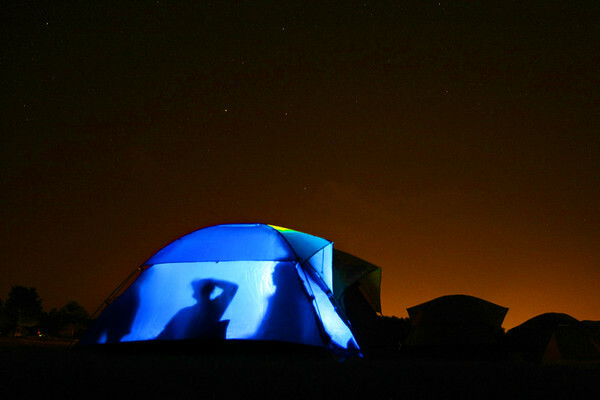 Playing around with exposures at a campout. The kids in the tent are illuminated with a flashlight. The glow in the sky is from Kokomo about 7 miles away.